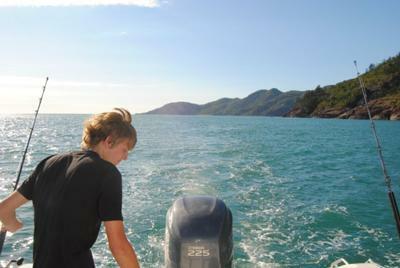 Trolling for Mackeral off Magnetic Island. 4WDing and Swimming at Ollera Creek. 4WDing in the bush at Dalbeg. Wanting to explore Townsville? I think to the rest of the country, it's still a bit of a secret, however, we pretty much have it all! With our beautiful rain forests, outback savannah, the great Aussie bush, tropical islands, the Great Barrier Reef and amazing wild life, why wouldn't you go exploring? Townsville in North Queensland, is a popular junction for travellers heading north to Cairns or Cape York, or out west, to Mt Isa, and into the Northern Territory. As a garrison city, and a large regional hub, Townsville sees a lot of transient residents, which might just be you one day. So while you're here, get to know the good spots that only the locals will tell you about. 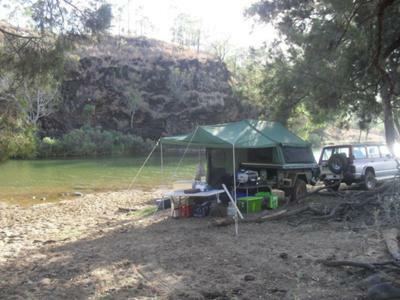 The Explore Townsville website shares with you places where you can create your own adventures by 4WDing, Boating, fishing and camping, enjoying the beautiful Australian countryside. Thanks for the local information Deni, I've spent a bit of time in Townsville over the years but looking through your website there are lots of interesting places I haven't seen yet. Townsville is the nearest major city to Darwin within Australia, a mere 2500k's by road. There are three international capital cities (Port Moresby, Dili and Jakarta) which are closer to Darwin than any Australian capital - no wonder Darwin is called Australia's gateway to Asia. Driving those 2500 kilometres between these cities is an adventure in itself. The direct roads are all sealed bitumen, but quality varies from new to old, narrow and rough. If you venture off the main highways, road conditions can change quickly. 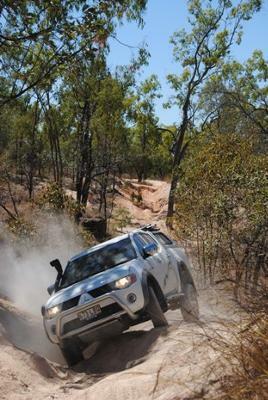 See more detailed information on Territory roads here. If you are traveling in the wet season, check local information as monsoonal downpours can cut even modern new roads from time to time. Until recently, Darwin was almost always cut off from the rest of Australia for a week or two every year. In February 2012 AirNorth promises to provide direct flights twice a week, until then it is usually a choice between flying via Cairns or Brisbane. Check the airlines for the best times and prices. Traveling by bus to Darwin from most places on the Queensland Coast will take you through Townsville, sometimes with a stopover of quite a few hours between connecting tickets. I have only done the bus trip once, and that was enough, it's a long way. If you haven't got your own transport and can take time out to break the journey you will see much more of the Outback this way than you ever will by flying. An alternative to the bus is the train trip as far as MT Isa. From there it's back on the bus as the rail link from Darwin to the Eastern States is still only a dream.